This recipe is my own innovation, filled with goodness and nutrition of kiwi fruit +milk and dry fruits. Simply divine and very easy to prepare with handful of ingredients. 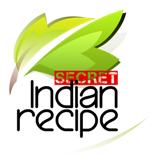 Sapna Udaywal's Secret Indian Recipe ! Add khoya to kiwi pulp and cook till mixture start or start thickening and leaving edges of pan. Turn off flame, let the mixture come on room temperature. Add sugard and mix. Make oval shape peda and garnish with dry fruits and rose petals. Palak ki kajuwale tikki (spinach and cas . . .